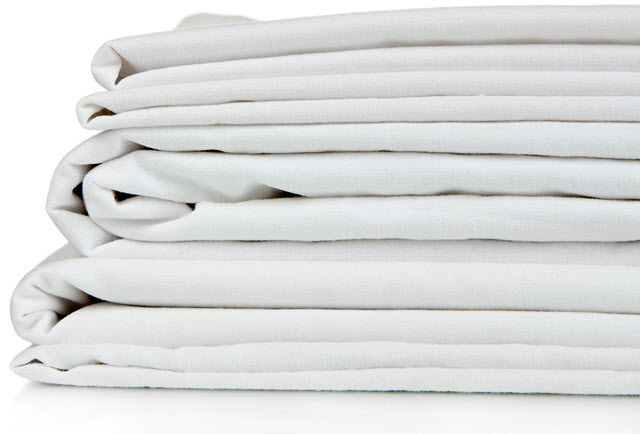 Can Sheets Made of Egyptian Cotton Improve Your Sleep? Luxury Thread Count: Does it Matter? The softer the bed sheets the more luxurious you may believe the bed. Egyptian cotton is considered one of the softest and most opulent cottons available today. But what makes “Egyptian” cotton so superior and sought-after? Cotton plants that produce superior cotton fibers, aka extra long staple fibers, are native to America, but were transplanted to Egypt in the mid-1800s. Since then what we’ve come to call Egyptian cotton has, in fact, come from Egypt. The long staple cotton produces longer, more durable, and softer fibers than other cotton varieties, owing to its value. Much of the high quality bed linens on the market are manufactured in Egypt. Besides the quality of the cotton fibers used to manufacture fine Egyptian cotton there is the notorious thread count to consider. Thread count is a unit of measure—like fill power in goose down comforters—used to assess the number of threads woven into a square inch of fabric. In the recent past a high thread count, or TC, has come to be synonymous with cotton quality. But there is disagreement over the value of TC in relation to the overall fabric quality. TCs range from 300 to over 1000, the latter of which is popularly considered especially luxurious. How does the fabric feel to you? Is the fabric 100% cotton or are there other materials? Is the cotton made with heavy dyes or is it dye free? Is the cotton lightweight and “delicate” or heavy and thicker? Finally, where has it been manufactured and what is the thread count? Examine all of these factors when buying Egyptian cotton. One of the suggestions often given to people robbed of sleep by insomnia is to make their sleeping environment more appealing. This aspect of what’s called “sleep hygiene” is intended to get you thinking differently about your bedtime as well as the space in which you’ve created for slumber. Here’s the thing: some people use their bedrooms as a catch-all. You may throw laundry in the corner, use part of your bedroom as a home office or workspace, set up a television, stereo and gaming equipment. Can you see how each of these things could actually distract you from sleeping? Egyptian cotton sheets are used then to create a more appealing, relaxing and comfortable sleep environment.